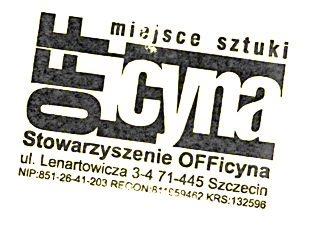 Szczecin European Film Festival (SEFF), more than a film festival for documentaries. Szczecin European Film Festival is an annual film event, organised by the OFFicyna Association, which investigates the boundaries of cinema and whose main mission is creative exploration. KONKURS EUROPEJSKICH – a documentary cinema which broadens and breaks the stereotypical image of the genre. TELEFON ART – an international competition for films made with mobile phones or other „handheld” devices capable of recording video and audio. POP SEFF – a worldwide competition for short musical film forms – so-called „clips”. WEST POMERANIA SHORTS – the newest and the most interesting short film forms produced by people associated with the West Pomeranian Voivodeship. The festival offers a rich accompanying programme, including i.a. Crossing the Boundaries – intermedia meeting dedicated to the future of new media; Let's Talk Film – meetings with cinema stars; “The Best Films In The World” – the newest and most renowned documentary productions; SEFF Film Forum - a meeting of the international film circle, and many more. "We wish our guests and audience a creative film celebration in Szczecin!"